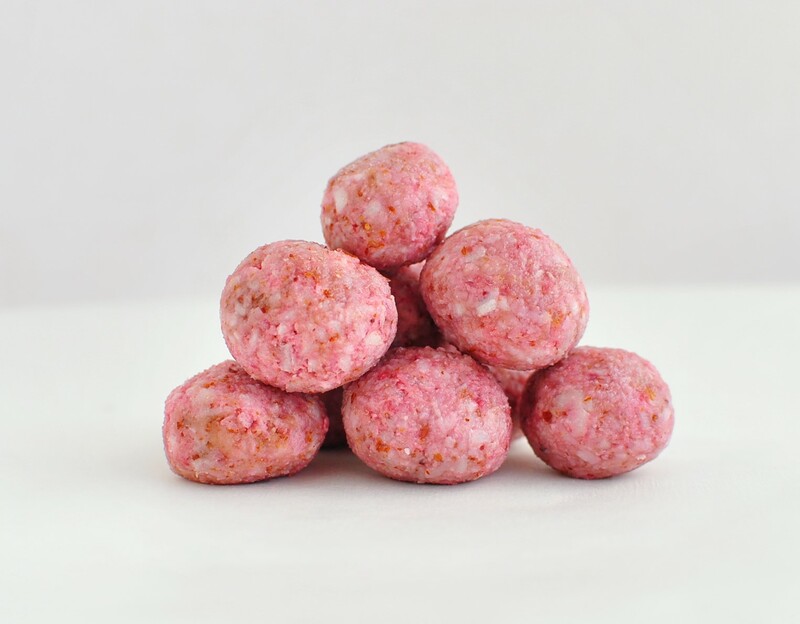 These strawberry bliss balls have become my favourite delicious indulgence, actually I think I am becoming addicted to them!! The great thing about them, other than tasting so yummy, is that they are so quick and easy, plus they are actually not all that bad for you, so you get to indulge pretty much guilt free!! We are fructose free so we use powered glucose or rice malt syrup to sweeten. If you are not fructose free, use what ever sweetener you prefer. Then place all ingredients in a food processor until thoroughly combined and mixture holds together when you squeeze it. Roll mixture into balls and refrigerate until firm. No Replies to "Raw Strawberry Bliss Balls"